Wonder Woman Lasso of Truth will debut at Six Flags Great Adventure in Jackson, New Jersey in late spring 2019. The summer may be winding down, but Six Flags Great Adventure is already looking ahead to 2019— and for good reason. Come the end of next spring, the Jackson, New Jersey-based amusement park will be home to the world's tallest pendulum ride. In a partnership with Warner Bros. Consumer Products and DC Entertainment, Six Flags announced Thursday that the new ride will be called Wonder Woman Lasso of Truth. The ride will rise 17 stories in the air, with a spinning disk that hits 75 miles per hour as it swings from side to side. A video of the ride gives guests a pretty good idea of what riders can expect. Wonder Woman Lasso of Truth will carry 40 riders at a time in floorless seats that leave their feet dangling as the ride swings them back and forth. 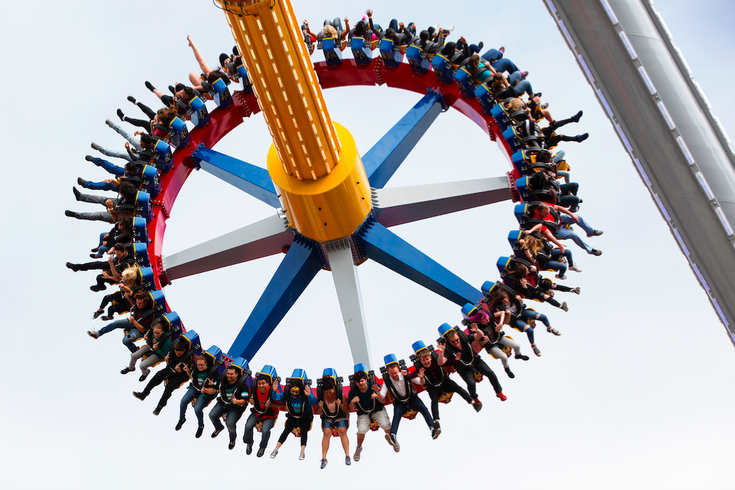 At 172 feet in the air, riders will experience a feeling of weightlessness. The announcement comes ahead of Six Flags' Labor Day weekend flash sale of 2019 season passes, with savings up to 70 percent off available for those who act early.